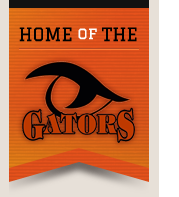 Welcome to Port Allegany Elementary School, where we raise our future Port Allegany Gators! We have the privilege of serving students in kindergarten through sixth grade in Port Allegany and the surrounding areas. We believe in educating the whole child and offer our students opportunities extending beyond the basics that allow them to open their minds and eyes to the worlds of music, art, literature, and fitness. We believe that every child has the right to a great education, regardless of cognitive or physical abilities. As such, we provide curriculum resources ranging from remedial to advanced studies--because at Port Allegany Elementary, every child matters. I am pleased to serve as principal of Port Allegany Elementary school. Each day I have the privilege of getting to know our future–your children. I am constantly amazed at the abilities and the strong character of these young people, and I commend you for modeling the characteristics that will guide them as they grow into responsible and intelligent preteens. I encourage you to join us at the many family programs we offer, including orientations, the Pumpkin Fest, Grandparents Tea, and the Academic Fair. I also suggest becoming involved with our Elementary Boosters, a wonderful group of volunteers who have re-energized our elementary building with their many activities. We hope that you will take advantage of our many communication tools, including our website! As the building principal, I will strive to keep you up to date on the latest events and initiatives that are taking place in our school.